Born Daniel Salvatore Duva on November 7, 1951. Founded the family-run boxing promotional firm Main Events in 1977 and served as its president. Duva, a graduate of Rutgers and the Seton Hall School of Law, was also an associate at the law firm of Cerreto and LaPenna in Newark, NJ. 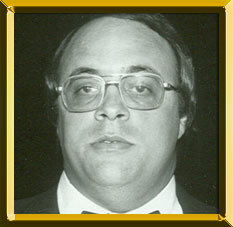 While practicing law during the late 1970s and early 1980s Duva and "Boxing's First Family" staged monthly boxing shows at Ice World in Totowa, NJ. In 1981 Main Events moved to boxing big-time when Duva secured promotional rights to the Sugar Ray Leonard vs. Thomas Hearns welterweight unification bout. Duva, now working full-time at Main Events, helped the promotion generate a then-record gross of $40 million. Now one of the premier players in boxing, Main Events went on to promote or co-promote over 100 world championship contests, including 12 world heavyweight title bouts that generated $300 million in gross revenue. Duva, along with partner Shelly Finkel, signed 1984 Olympians Evander Holyfield, Pernell Whitaker, Mark Breland, and Meldrick Taylor, all of whom won world titles. Among the many other boxers who fought on Duva-promoted fights include Lennox Lewis, Vinny Paz, Livingstone Bramble, and Hall of Famers Alexis Arguello, Aaron Pryor and Mike McCallum. Duva joins his father, Lou, in the Hall of Fame. Duva died on January 30, 1996 at age 44 following a lengthy battle with cancer.